Hunters Estate Agents and Letting Agents Nailsea opened its doors at the start of the millennium as Heritage Estate Agents, with the business going from strength to strength. Their continued proactive approach and creative marketing we have become an established and well recognised Estate and Letting Agent within the community providing an outstanding service. 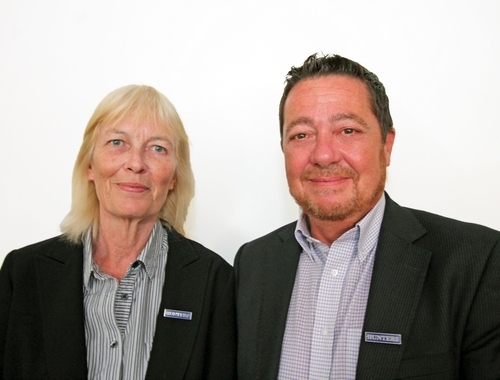 Their key to success has been to listen to our clients’ needs and tailor a service to ensure they have a swift pleasurable journey through the sale transaction. Hunters Estate Agents and Letting Agents pride themselves in their local knowledge and have the benefit of members of staff living locally. They are interactive with the local community and aware of not only the area but also social and news events at the same time. This increases our knowledge of what’s happening locally and coupled with every member of their team trained in Estate Agency and Letting Agency, they can ensure you are talking to the right people. All staff at Hunters Nailsea are required to take and pass various exams and undergo regular up to date training with our Hunters Training Academy to ensure they can provide the ultimate service. Having a full range of professional services from residential sales and letting to land and new homes, Conveyancing and financial services we can cover most needs. Hunters Estate Agents and Letting Agents Nailsea offers a wide selection of properties from a one bedroom flat to retirement homes and from terraced to detached. Being within a commuting distance of Bristol City and having a rail link Nailsea has a diverse range of properties and prices. Our exclusive range can offer the country side residence or the larger executive home. There is approximately 16,000 residents and a growing demand for property in all ages which is leading to development of a mixture of properties including retirement homes. Plans to create new communities, and possibly another M5 junction, are currently up for consultation in towns and villages across North Somerset. Nailsea is becoming more and more popular due to its links with Bristol City and the relaxing coastline which has helped the growth in property prices. The most popular properties are three bedroom semi-detached houses with a recent high rise in demand for the larger four / five bedroom detached There is an amazing contrast in buyers from the city worker to the retired. The team at Hunters Estate Agents and Letting Agents Nailsea is well gelled socially and within the office making what we would describe as a welcoming family environment. We constantly compete amongst each in a friendly manor and motivate one another on a daily basis to achieve rewarded results and provide an excellence in customer service. I would like to thank everyone at Heritage Nailsea (now Hunters) for a very professional, knowledgeable & friendly service. Without doubt the best in Nailsea. Click to view preferred suppliers for Hunters Nailsea. A Hunters Franchise owned and operated under licence by Heritage Estate Agents UK. 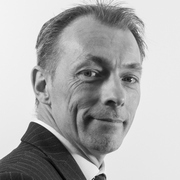 Paul has a wealth of knowledge and experience of working in diverse markets spanning over 25 years since 1991. Today he still feels the same excitement and continues to thrive in agreeing sales through to completion and providing the ultimate in customer service as if it was his first sale. Being a family man and local photographer, his knowledge of the area and interaction within the community is coupled with his Estate Agency experience to enable him to give honest, trustworthy advice. This then enables him to help Home Movers and Investors make the right move. Shelly is known as the machine within the office, her work rate is second to none and often recognised with many letters of thanks for her excellence in customer service. She started her career in 2014 and undergone much training while working in various offices in the company covering North Somerset. This coupled in living locally with her family all of her life has made her a local property expert not only in the area knowledge but also as a leading estate providing much help to those moving locally. Talia has worked within a number of our local offices and has a strong knowledge of the Nailsea and wider North Somerset area. She is a real people’s person and has demonstrated a keen attitude to learn. With her commitment and strong determination Talia is in the process to complete her NVQ in Sale’s Of Residential Property and loves being out and about with customers along the way. 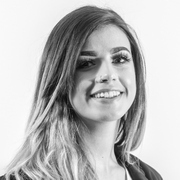 On a daily basis Talia conducts viewings on properties For Sale and has a great skill in matching buyers to the properties best suited to them. She’s a great member of our team. After living locally with her parents, Talia has now taken her first steps in buying a property with her partner, adding to her experience as and agent and understanding the customers experience of buying a property. 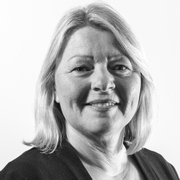 Cheralyn began her career with Estate Agency in 2007 in the Lettings side of the business as Accounts Assistant. 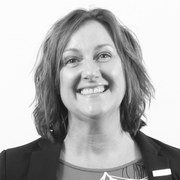 She now works with the Team in Nailsea as well as dealing with certain aspects of Marketing for the Company. Her dedication and eye for detail in everything she does makes’s her an important part of the busy Team. Historically the town was an industrial centre based on coal mining and glass manufacture, which have now been replaced by service industries. The surrounding North Somerset Levels has wildlife habitats including Tickenham, Nailsea, Coastal the town of Clevedon and Buckland’s Pool/Backwell Lake. The National Trust, Tyntesfield house rest on the outskirts of Nailsea and also a local zoo called Noah’s Ark. Nailsea is close to the M5 motorway and Bristol Airport, and its own railway station, Nailsea and Backwell, has services operated by the Great Western Railway. Bristol is approximately 8 miles away so coupled with its commuter links, Nailsea is an ideal place to live for the City worker within a countryside setting. All Year round, North Somerset hosts a wealth of events, large and small for people of all ages and interest. There is a weekly market in the town and other events include the international bike show, Beer and cider Festival, Annual Skate festival at Nailsea Skateboard park, Festival of Music, Christmas fair and much more. Local landmarks including Tyntesfield House and North Somerset Showground also host a variety of events throughout the year. We see a diverse range of purchasers in Nailsea and there does seem to be something here that will tick the boxes for almost every buyer. For the retired home searchers there are purpose built retirement homes close to the town centre but within a short distance of the countryside. Whilst for the busy professionals there are the executive developments that are located within a short distance of the city. For everyday life the town offers an array of bars, restaurants and cafés on your door step. For the family market there are multiple areas to be considered for those searching for a modern home, good schooling, sporting activities and countryside walks around the Nailsea and Backwell Lake. For investment purchasers Nailsea offers a prime location with a diverse selection of property to choose from. There has been a constant strong rental demand across all price ranges so you can always find a professional tenant. Nailsea has become popular with those looking to commute in to the city and further afield with the great transport links locally. The surrounding countryside is a haven for wildlife and the M5 is just five miles away. The Town centres have ample shops for everyday needs, a few good pubs serving food, more than their fair share of sports clubs and the benefit of a mainline station. Another huge attraction for families is that every school, primary and secondary, is has been or is currently rated either good or outstanding by Ofsted. Backwell school, Golden Valley Primary, Nailsea Secondary and St Francis Catholic schools are popular with most but there are other individual schools such as the Secret Garden Montessori Nursery. Nailsea is unique to North Somerset being able to provide a wealth of diverse activities and wide ranging contrast of interests making a proactive community. In being an easy commute of the thriving city and relaxing coast line it would be hard to find a reason in why you would not choose to live in the area.